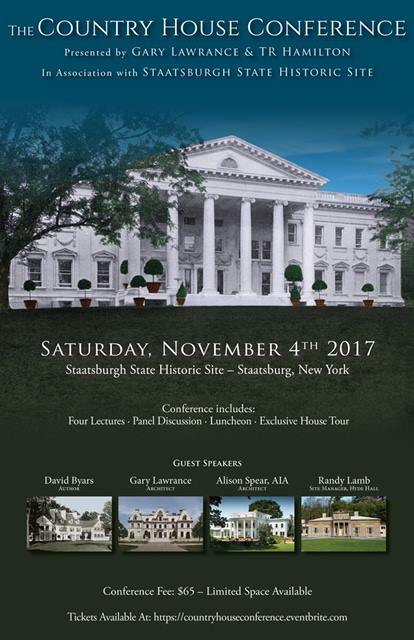 The Country House Conference on Saturday, November 4th at the Mills Mansion, Staatsburg, New York. This event is being hosted by Gary Lawrance & TR Hamilton in association with Staatsburgh State Historic Site. Tickets can be purchased HERE. Please see below the photo for more about the event. A premiere all day conference event. 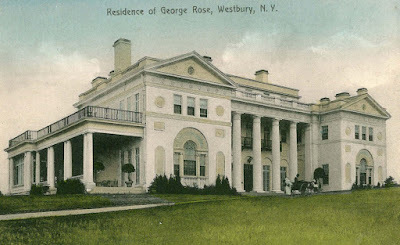 Explore the rich and diverse history of the country houses of New York. 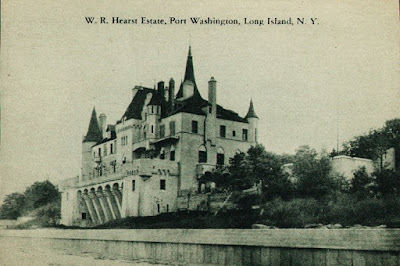 The Country House Conference will take participants on a 300 year journey from the humble origins of colonial farms and manors to the grand estates of turn-of-the century robber barons. 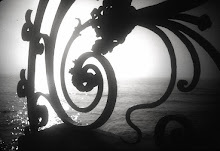 The day includes Four Lectures, Panel Discussion, Exclusive House Tour and Lunch. Alison Spear AIA, Obercreek Farm. Ms Spear is an award winning architect and interior designer and currently runs her own practice. A native of Florida, Ms. Spear has over thirty years of experience and has worked on significant residential and commercial projects throughout the country. Spear will be presenting the journey she and husband Alex Reese have taken in the renovation of the Reese family estate Obercreek Farm. 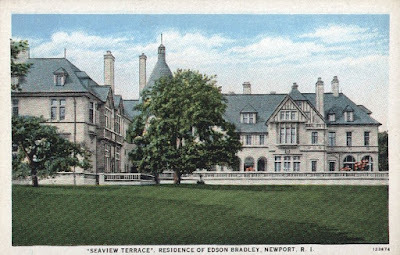 Gary Lawrance, Mansions of Gilded Age, Mr. Lawrance is noted architect and historian and principal of Lawrance Architectural Presentations. 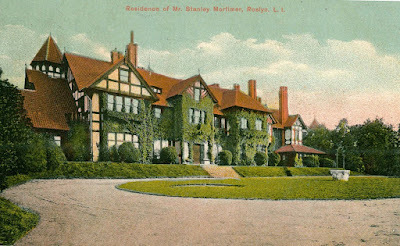 Mr. Lawrance a native of Stony Brook, New York is better known by his social media account "Mansions of the Gilded Age", a topic he has written and lectured extensively about. 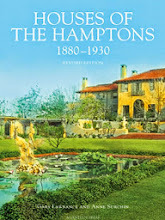 Mr. Lawrance will present a history of the rise and fall of Gilded Age country estates from the Hudson Valley to the Long Island Gold Coast. Randy Lamb, Hyde Hall, Mr. Lamb is the current site manager of Hyde Hall near Cooperstown, NY. Mr. Lamb serves is a museum educator based in Upstate New York and provides public education programming relating to the history, culture and places of significance around the greater Cooperstown, New York area. 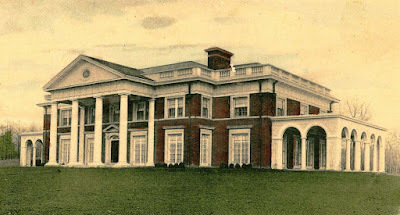 Mr. Lamb will be presenting the history and development of Hyde Hall, the Clarke family estate north of Cooperstown, NY often noted as one of the finest classical residences of early 19th century America.